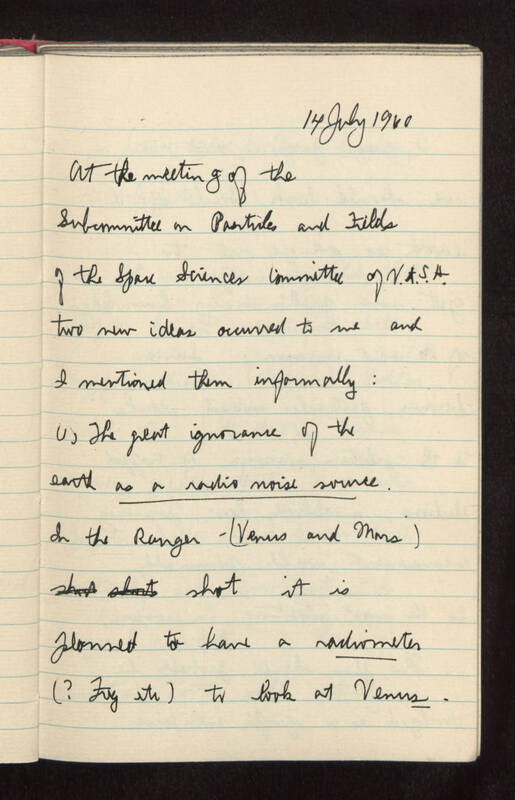 14 July 1960 At the meeting of the Subcommittee on Particles and Fields of the Space Sciences Committee of N.A.S.A. two new ideas occurred to me and I mentioned them informally : (1) The great ignorance of the earth as a radio noise source. In the Ranger - (Venus and Mars) shot it is planned to have a radiometer (? Frequency etc.) to look at Venus.